The Virgin Lands Campaign was Nikita Khrushchev's 1953 plan to dramatically boost the Soviet Union’s agricultural production in order to alleviate the food shortages plaguing the Soviet populace. Tajikistan is a highly agrarian country, with its rural population at more than 70% and agriculture accounting for 60% of employment and around 30% of GDP. As is typical of economies dependent on agriculture, Tajikistan has low income per capita: back in the Soviet period (1990) Tajikistan was the poorest republic with a staggering 45% of its population in the lowest income “septile”. In 2006 Tajikistan still had the lowest income per capita among the Commonwealth of Independent States (CIS) countries: $1,410 compared with nearly $12,000 for Russia. The low income and the high agrarian profile justify and drive the efforts for agricultural reform since 1991 in the hope of improving the population’s well being. Agriculture in Mongolia constitutes over 10% of Mongolia's annual Gross domestic product and employs one-third of the labor force. However, the high altitude, extreme fluctuation in temperature, long winters, and low precipitation provides limited potential for agricultural development. The growing season is only 95 – 110 days. Because of Mongolia's harsh climate, it is unsuited to most cultivation. Only 1% of the arable land in Mongolia is cultivated with crops, amounting to 1,322,000 hectares in 1998. The agriculture sector therefore remains heavily focused on nomadic animal husbandry with 75% of the land allocated to pasture, and cropping only employing 3% of the population. Crops produced in Mongolia include corn, wheat, barley, and potatoes. Animals raised commercially in Mongolia include sheep, goats, cattle, horses, camels, and pigs. They are raised primarily for their meat, although goats are valued for their hair which can be used to produce cashmere. 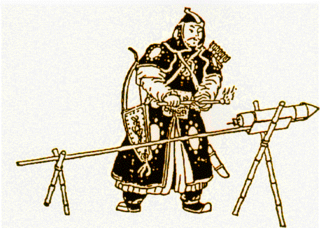 In 4,000 years, China has been a nation of farmers. By the time the People's Republic of China was established in 1949, virtually all arable land was under cultivation; irrigation and drainage systems constructed centuries earlier and intensive farming practices already produced relatively high yields. But little prime virgin land was available to support population growth and economic development. However, after a decline in production as a result of the Great Leap Forward (1958–60), agricultural reforms implemented in the 1980s increased yields and promised even greater future production from existing cultivated land. Georgia’s climate and soil have made agriculture one of its most productive economic sectors; the 18 percent of Georgian land that is arable provided 32 percent of the republic's NMP in 1990. In the Soviet period, swampy areas in the west were drained and arid regions in the east were salvaged by a complex irrigation system, allowing Georgian agriculture to expand production tenfold between 1918 and 1980. Production was hindered in the Soviet period, however, by the misallocation of agricultural land such as the assignment of prime grain fields to tea cultivation and excessive specialization. Georgia’s emphasis on labor-intensive crops such as tea and grapes kept the rural work force at an unsatisfactory level of productivity. 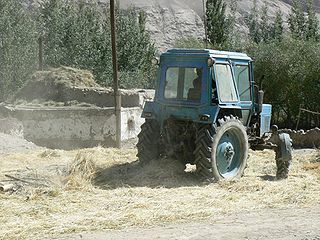 Some 25 percent of the Georgian work force was engaged in agriculture in 1990; 37 percent had been so engaged in 1970. In the spring of 1993, sowing of spring crops was reduced by onethird on state land and by a substantial amount on private land as well because of fuel and equipment shortages. For the first half of 1993, overall agricultural production was 35 percent less than for the same period of 1992.